DBS provides a 10-year limited warranty on MillCreek Flooring™. 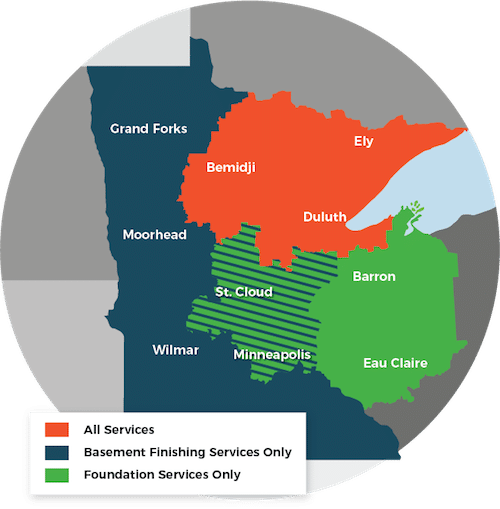 Our services are available throughout Duluth Superior Area of Minnesota and Wisconsin. For more details on MillCreek Flooring™'s warranty: Download full warranty (PDF). MillCreek Basement Flooring is to be installed by our professionals that are certified and trained by the International Total Basement Finishing headquarters. We offer basement flooring options for homeowners throughout Superior, Duluth, Minneapolis and nearby. Call us today for a free estimate on the installation of your new, finished basement!